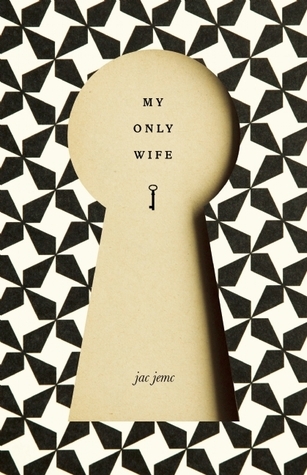 Forgive my repetition: this review of Jac Jemc‘s My Only Wife is the same as the one on my Goodread’s account. But I loved this novel so much I wanted to share it here as well. My Only Wife, by Jac Jemc. From Dzanc Books. This slim novel simply swept me away. I had the good fortune to pick it up at a reading Jemc gave in Portland, in the last of the famed Smalldoggies Press series, but I actually bought it before Jemc read. I am a man utterly devoted to my wife, so the title alone caught my eye; I am also a man happily married to my wife, so the short write-up on the inside flap — “Ten years ago the narrator unlocked the door of a wrecked apartment, empty of any trace of his wife. As stunning as her disappearance is his response. He freezes on the facts of her, haunting his recollections….” — piqued my interest. When Jemc read that night (from chapter 32), the prose caught my breath and wouldn’t release it until I’d started reading the book. The story is odd: there is almost no plot here, just a series of vignettes that build on each other in the minutest increments. The characters are difficult to like: the wife is fascinating and the husband’s near-worship of her understandable, but she also is disturbingly selfish and he is sometimes infuriatingly blind to her power over him — or, rather, willfully ignorant of it, because when he does have moments of insight, he lets them go quickly, desperately. But the prose in this book! Oh, the prose…. The way Jemc writes is simple, occasionally even simplistic, but it is nearly always perfect, nearly always the right words in the right rhythms. Her prose is lyrical: while some of the short chapters read almost like flash fiction, others are practically prose poems. Her imagery is precise, her little forays into monologued stories-within-the-story are exacting and breathtaking, her pace is spot-on, and her symbolism layered and wonderfully understated. Even the ending, which you will think you know but won’t, is fantastic — for such a simple concept of a novel, which she seems to give away in the flap text, she still manages to pull a surprise in the ending, and it’s wonderful. I don’t necessarily like the people in this book, but I understand these people and I love this book. And absolute pleasure to read, and I will cherish it on my bookshelf. I don’t often reread novels, but this is definitely one I’ll return to again and again. It’s a terrific book, really! Definitely get yourself a copy.